In this article, my colleagues Nick Obradovich, Bill Powers, Manuel Cebrian and I argue for the possibility of a moral hazard in the way corporations deal with risks from AI on society. It may be tempting for corporations to use cheap public relations tactics, than to address some of the challenges at the core. Similar to ‘greenwashing’ practiced by companies that caused environmental damage, we dub this new possibility ‘machinewashing’. The solution? Independent oversight. Read the article here. Check out our new article “Why We Need to Audit Algorithms” in Harvard Business Review. The Moral Machine paper is out! Our analysis of 40 million decisions about the ethics of autonomous vehicles has now been published in Nature. The paper was a true collaboration that involves computer scientists, psychologists, economists and anthropologists. You can read the paper (view-only version) here. Despite their growing influence on our lives, our study of AI agents is conducted by a very specific group of people. Those scientists who create AI agents—namely, computer scientists and roboticists—are almost exclusively the same scientists who study the behavior of AI agents. We believe the study of AI agents can benefit from greater inclusion of social and behavioral scientists. Read my Nautilus article with Manuel Cebrian, making a case for a new science of "Machine Behavior". The scientific study of machine behavior by those outside of Computer Science and Robotics provides new perspectives on important economic, social and political phenomena that machines influence. But the rapid growth of artificial intelligence has hindered our ability to replicate and audit the behavior of emerging artificial intelligence systems. These hindrances have opened the door to unintended consequences like unexpected biases, unethical behavior, and unequal access to these systems. TuringBox is a two-sided marketplace that facilitates both the behavioural study of artificial intelligence systems and the production of new, socially-aware systems. As advances in robotics and artificial intelligence revive concerns about the impact of automation on jobs, a question looms: How will automation affect employment in different cities and economies? We use tools from complex systems and urban science to explore this question. In 1981 Robert Axelrod famously hypothesized that international cooperation might evolve through direct reciprocity. In our new article in Science Advances, we present new evidence for that hypothesis. Using a new method and dataset, we're able to detect direct reciprocity in a relatively large number of country pairs. Reciprocating country pairs exhibited higher levels of stable cooperation, and were more likely to punish (yet quickly forgive) instances of non-cooperation, in an effort to maintain cooperation. By contrast, countries without reciprocal strategies were more likely to exploit each other's cooperation and abandon mutual agreements. The results indicate that policymakers of powerful countries—who may be tempted to take sweeping, non-cooperative action in areas like trade or environment—should consider the long-term negative effect of non-reciprocal tactics. 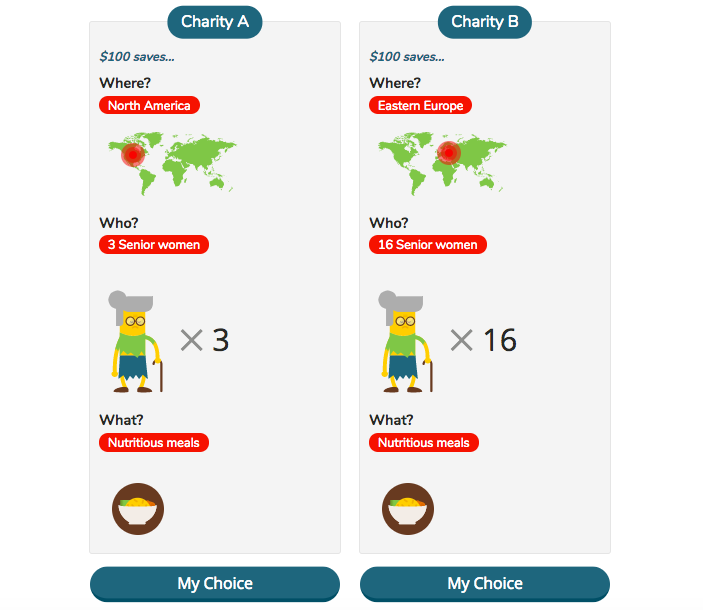 In collaboration with The Life You Can Save, a charity founded by philosopher Peter Singer to promote effective charitable behavior, we launch a new online game: MyGoodness. There are over one million registered charities in the United States alone, and many more worldwide. How do you choose among them? MyGoodness is a simple game that helps you understand how you give. You make 10 giving decisions. Each decision is between two choices, and you tell us which you prefer. At the end of the game, we give you a summary of your ‘goodness’ and how it compares to others. You can share that feedback with whomever you would like. This Halloween, we present Shelley: the world's first collaborative AI Horror Writer! Shelley is a deep-learning powered AI who was raised reading eerie stories collected from r/nosleep. Now as an adult, and not unlike Mary Shelley - her Victorian idol - she takes a bit of inspiration in the form of a random seed, or a short snippet of text, and starts creating stories emanating from her creepy creative mind. But what Shelley truly enjoys is to work collaboratively with humans, learning from their nightmarish ideas, creating the best scary tales ever. If you want to work with her, just respond to the stories she would start every hour on her Twitter account, and she will write with you the first AI-Human horror anthology ever put together! Our new preprint Cooperating with Machines is out. We pose a new grand challenge for AI: cooperation (not competition) with humans. Also read some coverage of this work in Science. and MIT Technology Review. Conversation with Jennifer Schenker at the Digital Life Design (DLD) conference in Munich, Germany. I wrote a brief note on what I call society-in-the-loop Artificial Intelligence. You can also read Joi Ito's commentary on it, or check out the brief video below. New York Times op-ed on Whose Life Should Your Car Save?, co-authored with Azim Shariff and Jean-Francois Bonnefon. Interesting discussion of the "Social Dilemma of Autonomous Vehicles" on CBS News between Charlie Rose and New Yorker journalist Nicholas Thompson. Our new story "Seaching for Someone" chronicles the history of searching social networks, from Stanley Milgram's Six Degrees of Separation (or Small World) experiment, to the Red Balloon Challenge, and the Tag Challenge. This story is written with with Alex 'Sandy' Pentland, Manuel Cebrian, Esteban Moro, and others, and summarizes various lessons learned from these experiments.